Fair weather conditions set to prevail all across TN with night temperatures plummeting in few pockets of North, North western interior TN like Vellore, Tirutani and Tirupattur. Day highs may see a marginal increase in western parts of the state over the weekend. Meanwhile, under the influence of a western disturbance, heavy rainfall / snowfall is likely over J & K and Himachal. Few pockets of western Himalayan region and adjoining NW India would see thunderstorm with hailstorm. Chennai – A cool and comfortable morning leading to a bright and sunny day with day highs expected to peak around 30 degrees. Madurai – A cloudless sky across the region. Day high to scale with a max of 35 degrees. Trichy – Yet another pleasant day to expect with day max peaking at 33 degrees. 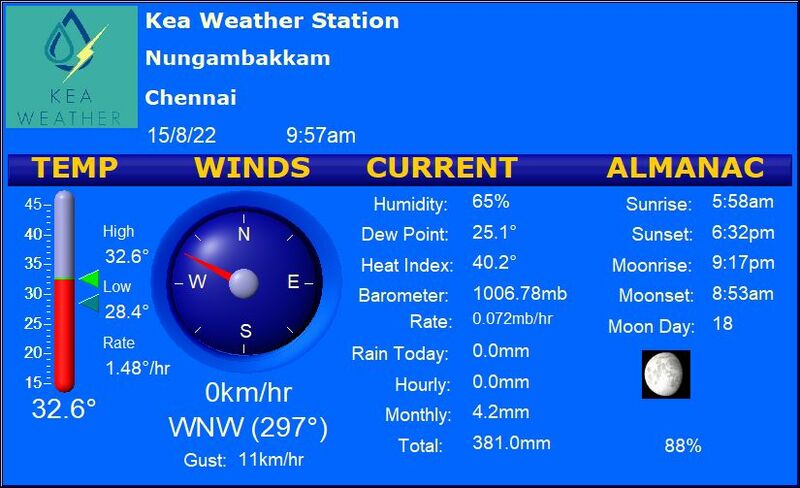 Vellore – A relatively nippy morning over the region. The day highs will continue to remain pleasant with a max of 31 degrees.